Like in other countries, we Filipinos are also very conscious with our skin that we try to use beauty products we think are good for us. This reality is evident especially in the beauty products we use on our faces. 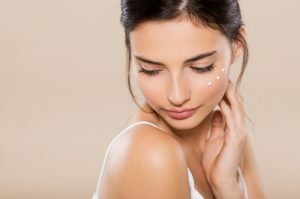 Bar soaps, moisturizers, facial creams, and other facial products are what we usually buy on the market to help keep our facial skin healthy and glowing. Here, we will give you our 2018 list of the best facial bar soaps you can buy online from various brands such as Dove, Cetaphil, and Human Nature. This will help you narrow down your search for the best among the best. Are you ready? Let’s go and explore our list! You are already aware that facial bar soaps are good for your face chiefly because it cleanses and renews your skin. However, it is still important to know the major benefits you can get from these bar soaps. Washing your face with a facial bar soap primarily removes dirt, oil, and other pollutants on your face, including sebum. However, it is essential for you to know that you should only wash your face moderately because overdoing it causes your skin to dry, leaving you with a dull skin. You should always remember that your face has its natural oil that naturally moisturizes your skin. So you should wash your face appropriately to keep a good balance between your natural oil and skin texture. Facial bar soaps are specially made for a gentle skin such as your face. Therefore, washing your face with a bar soap is highly recommended. Unlike liquid facial cleansers, these soaps do not contain synthesized surfactants like sodium lauryl sulfate, a cleansing and foaming agent that can cause skin irritation. 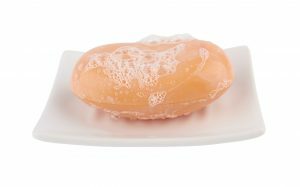 Bar soaps are even better than cleansing foams because they do not contain foaming chemicals that irritate the skin. For those with very sensitive skin, you don’t have to worry because bar soaps are skin-friendly! First things first. Let’s discuss what significant considerations you need to know before buying facial bar soaps online. This is important because this will help you evaluate which items can completely meet your requirements. Some facial bar soaps are designed for dry skin, while others are for oily or acne-prone ones. So think about what type of facial skin you have. This is the most important part when you choose your facial bar soap. However, if you think you have used facial bar soaps that are specific to your skin type but still do not work, you might consider visiting a dermatologist. Seeking advice from experts is the safest way to prevent your face from any unwanted facial problems. It is important to understand that you should always choose the type of soap that is designed for your skin. Keeping a good balance between your skin texture and natural oil is the key here. Below, we will discuss which type of facial bar soap is right for you! 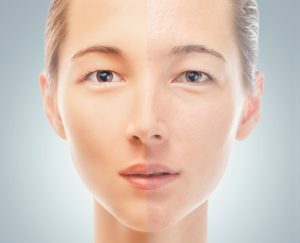 People with ordinary skin are those who have very minimal facial skin problems. They don’t always worry about pimples and acne, oily skin, and many others. It is suggested to choose bar soaps that don’t contain harmful chemicals, which can destroy the balance of your skin. So please select those that are not colored and don’t have preservatives. Sebum is the primary cause of having an oily skin, and the production of sebum has many causes. It can be because of a menstrual cycle, stress, weather, and others. Therefore, you try to use facial bar soaps you believe will relieve you from the stress of having an oily skin. However, you have no idea that what you only need is a bar soap that can provide proper cleansing with moisturizing properties. Bar soaps with a creamy moisturizing effect help prevent your skin from producing sebum. It keeps your face moisturized without forcing your skin to produce excess oil, leaving you with a healthy and glowing skin. Although people with oily and dry skin are different, they only need one type of bar soap. Therefore, you should choose a facial bar soap that has moisturizing ingredients to keep your skin glowing. 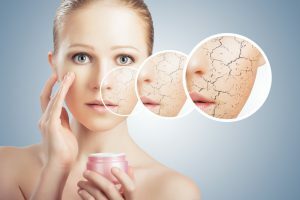 People with dry skin have a higher risk of early aging, so you should keep your skin always moisturized. You should be really careful if you have a sensitive skin. Soaps that trigger irritation on your skin will always lead to pimples or even worse facial skin problems. To avoid this, pick a bar soap that does not contain extra additives like coloring agents, surfactants, and preservatives because they trigger skin irritation. So always check the label! One important factor that is usually overlooked when choosing a facial bar soap is the feeling when you wash your face, and even after. You are the only person who can tell if you like what you just used or not. If it does not feel right, then it is surely not right. It is definitely true that you won’t know the product unless you try it, but trying different soaps may irritate your skin because they contain different chemicals. Thus, it is best to do your own research and try asking your friends for recommendations. It’s self-explanatory, isn’t it? Nothing beats a facial bar soap rich in organic and healthy ingredients. Make it a habit of reading the description of the soap you are interested in and check if there are organic ingredients included. Through this, you can make sure that, at least, what you’ll be getting is something with lesser damage. Let’s accept the fact that every processed product, edible or not, contains chemicals that can negatively affect our health. So we need something that’s healthier and more natural as much as possible. The more organic the soap is, the better. Also, it is better to consider ingredients that will eventually make your skin look beautiful too! Collagen, vitamin C derivatives, and hyaluronic acid are some of the helpful ingredients you should also check before buying one. Many facial bar soaps on the market today do not only irritate your skin but also cause serious damage like an increased risk of breast cancer. To avoid this scenario, always check the ingredients of the bar soap to make sure you are looking at the right one. Some of the harmful chemicals, which are commonly used in many facial bar soaps, you should watch out are parabens, triclosan, and formaldehyde. 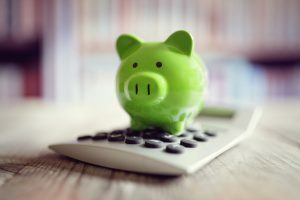 Lastly, don’t forget about the cost. Choose a bar soap that is good for your skin yet cost-effective. Expensive soaps do not always guarantee high-quality performance because it’s your skin who’s the judge. Who knows? You might get something that’s satisfying but less expensive! Now, we will present our top 10 list of the best facial bar soaps you can buy online. Please read each item thoroughly to better weigh which facial soaps are perfect for your daily use. 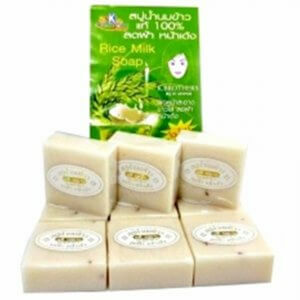 This imported Thai soap is wonderfully formulated to deeply clean, tone, and detoxify your skin. 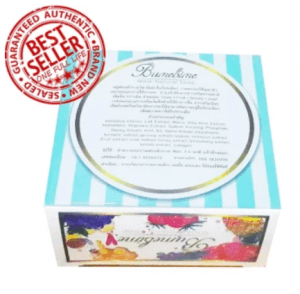 The soap is extraordinarily handmade that blends jojoba oil, vitamin E, vegetable glycerin, pure honey, and other natural ingredients – a perfect mixture to keep your skin nourished and refreshed all the time. Its creamy lather also rejuvenates your skin, giving you a youthful glow. Your face will surely feel soft, smooth, fresher, and fragrant after every wash! It’s a perfect soap for all types of skin, especially to those who are always exposed to the sun where natural ingredients are needed the most. 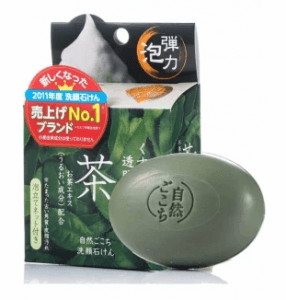 This popular facial bar soap from Japan will eventually get rid of your dry and dull skin! It features a premium-quality green tea ingredient that clears, moistens, and smoothens your skin. The soap is astonishingly recommended for adults who are entering the “aging” stage, the late 30s and above. Upon washing your face, the soap’s rich, elastic lather gently cleanses your face without triggering skin irritation. Aside from green tea, it also contains other natural skincare ingredients like Althaea officinalis extract, jojoba oil, collagen, and hyaluronic acid that help keep your skin nourished and healthy. Olay Bar with Papaya is impressively made to make your skin look naturally white in as early as your first use. The soap aims to reveal that natural white in you while making sure your skin tone is even out. The set comes in 5 bar soaps, great for a long-term use! It contains papaya extracts that effectively lighten your complexion and whitens it even more. It’s a facial bar soap for all types of skin, ideally for those who suffer from skin pigmentation. However, you may experience short-term itchiness after your every bath because of its papaya ingredient. This amazing carrot soap is coconut oil-based that efficiently treats skin breakouts. This also means that this is ideal for those with dry and dull skin who suffer skin breakouts and skin flakes! It gently nourishes, cleanses, and hydrates your skin, making it look refreshing. With its beta-carotene nutrient from raw carrot extracts, your skin will not dry or age because it slows down the cells’ metabolic activity. 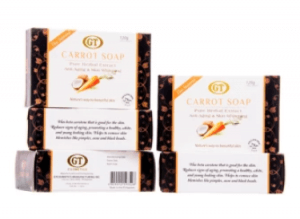 Overall, this carrot soap will make your face look clearer, healthier, and youthful. However, in some cases, this works better if you pair it up with moisturizers or facial creams for a more glowing skin. This rejuvenating and lightening soap has antibacterial properties that fight against bacteria that cause pimples. It also lightens dark spots and blemishes while keeping your skin rejuvenated. The soap is specially formulated for people with dry and sensitive skin, preferably those who are always exposed to air conditioners! It also contains glycerin, arbutin, gigawhite, snail serum, and aloe vera that incredibly treat acne problem and prevent dry, itchy, rough, and scaly skin and minor skin irritations. However, you might need to insert more effort upon rubbing the soap into your skin as it does not easily melt. This 100% natural cleansing facial bar soap promises to calm your senses like you’re in a spa! It’s infused with lavender mint essential oils that relax not only your face but also yourself. It’s a perfect choice for those with dry and oily skin, especially who are in big cities where pollutants are abundant! It’s also made with coconut oil and natural glycerine that rejuvenate your skin, which awakens that glow in your face. It does not have harmful chemicals such as parabens, which is safe to use. 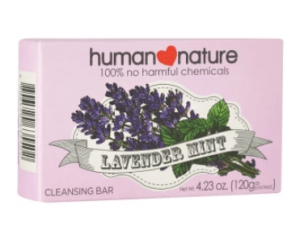 However, this Human Nature soap melts easily because there are no hardening chemical ingredients included. This set of 4 bars is made with hypoallergenic properties, which is gentle on your skin, and is unscented. It’s a facial bar soap amazing for people with sensitive skin, ideally those who are working in graveyard shifts and who are not always exposed to the sun! 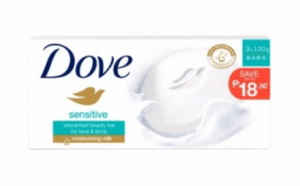 With Dove’s signature ingredient, it contains ¼ moisturizing cream that gently moisturizes your skin. It generally leaves your face with a clean, smooth, and soft feel! However, this bar soap may not be a consideration to those who love scented soaps. 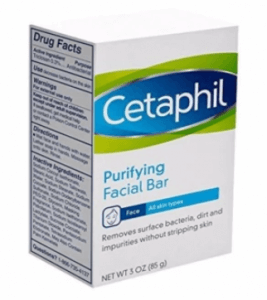 Cetaphil Purifying Facial Bar keeps your skin moisturized while gently cleans it. This facial bar soap is suitable for people with dry skin, preferably those who are aging and always exposed to air conditioners! After cleaning your skin, it leaves a soft and hydrated feel that makes you feel young and glowing. This awesome soap also removes bacteria, impurities, and dirt on the surface of your skin without stripping it. It’s hypoallergenic, non-irritating, and non-comedogenic as well, which is extremely gentle on skin. However, you may find your face “oily” at first because of its moisturizing effect. The set highlights 2 incredible facial bar soaps to achieve that natural pinkish glow. First is the beauty bar soap that deeply cleanses your skin while slowly eliminating whiteheads and blackheads, skin pigmentation, and pimples. This soap also restores your skin and allows it to be immune to high temperatures, UV rays, and wind. 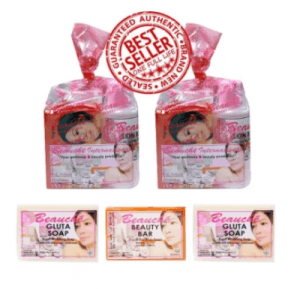 On the other hand, the gluta bar soap contains glutathione, a powerful whitening ingredient, plus milk and songyi mushroom that moisturizes your skin and naturally evens out your skin tone, respectively. The combination of the two bar soaps is perfect for those who want to have a lighter and fairer skin and who are in places with many pollutants. 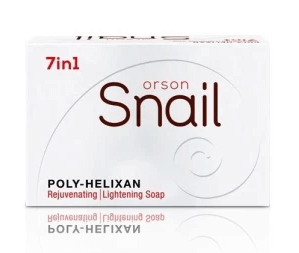 This authentic Thai soap promises to effectively whiten your skin faster in as early as your first use! It has unique and safe ingredients that make it highly recommended for all types of skin and for those are often exposed to wind and the sun. It works on reducing your dark spots first while slowly erases scars. It’s authentically sealed and approved by FDA. No wonder it’s the number facial bar soap on our list and a best seller! 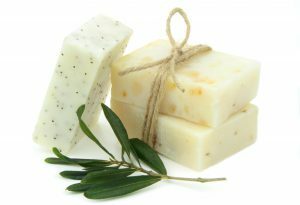 The soap is also made from natural extracts that eliminate acne-causing bacteria. Although the brand declares it is recommended for all types of skin, people with very sensitive skin may experience negative reactions upon first use. 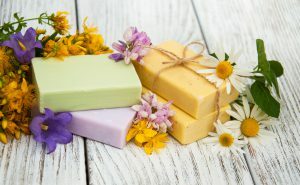 Although there are many bar soaps out there on the market that are really convincing, it’s still safer to check out the things you should know about these. Doing your research indeed takes time, but it allows you to explore the positive and negative factors of the different soaps online. With our list of the best beauty soaps, you will have a better view of which soap meets your expectations and which does not!